FR. LOUIS SISTI SAC R.I.P. Louis was born in Dareda on 7 January 1944; son of Daghero Sisti and Margarita Sillo. He went to minor seminary at Kibosho, Moshi Region and spent a few years there, he asked to be admitted to the Pallottines and in 1962 he travelled to Ireland with Basil Ikhula and did novitiate in Cabra. He made first consecration as a Pallottine Brother on 28 December 1965. 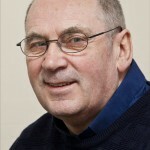 He applied for permission to prepare for priesthood and did his Philosophical studies at St Patrick’s College, Thurles. In 1970 he returned to Tanzania to pursue Theological studies at Kipalapala Major Seminary in Tabora. He was ordained on 30 June 1974. His appointments were to Dareda, Gallapo, Makiungu, Bashnet, Mbugwe and Nangwa and he was at San Silvestro during the academic year 1980-81 during which he studied Spirituality at the Angelicum University. Louis suffered many health issues including a stroke, from which he made a good recovery, and he was diagnosed with polycystic kidneys which eventually resulted in him going on dialysis in November 2005. He was blessed to receive a kidney transplant in October 2011; however he was diagnosed as having vascular dementia the following year. He moved to Thurles, to St. Theresa’s Nursing Home in September 2013 where he was cared for and well looked after. 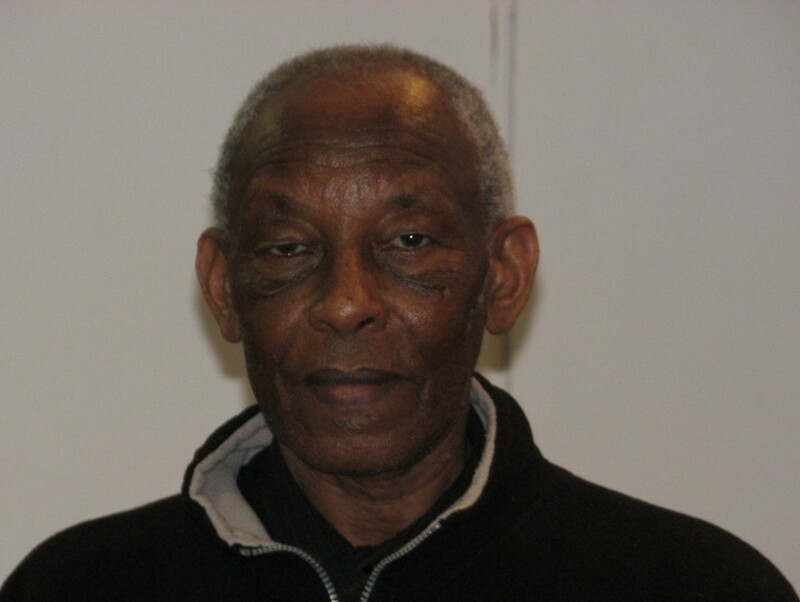 He died there on Saturday 13 February at 13.50; Martin Mareja and Emmet O’Hara were with him as were Eileen Doran-Connolly and Francisco Tango. His remains were received into the College in Thurles on Sunday 14 and from 15.00 there was viewing; he was removed to the College chapel following rosary and prayers. 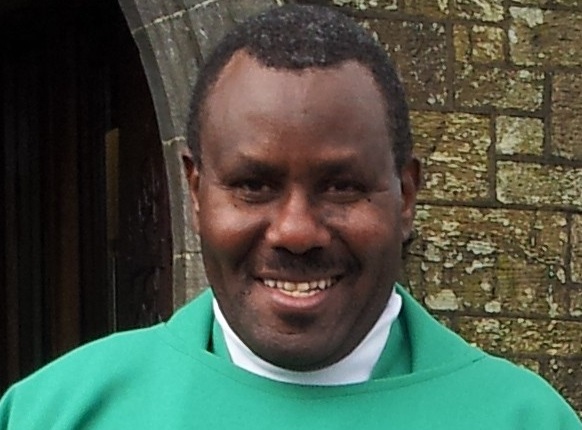 Concelebrated funeral Mass was held on Monday 15 at 13.00; Archbishop Kieran O’Reilly, SMA, concelebrated together with 32 priests, a deacon and our students; Gerry Fleming preached the homily, Martin Mareja gave a reflection after communion and Reginald Temu offered words of appreciation and thanks. It was great to see Srs Breda Ryan and Mary Friel of the MMMs at the ceremonies and also family members of a number of our men in East Africa and elsewhere. A request was received from his immediate family that his remains be repatriated and this was accepted. The process of repatriating Louis’s remains took some days, he was flown to Kilimanjaro airport on 25 February, his remains were taken to our house in Njiro, Arusha, and then on to Gallapo where an all-night prayer vigil was held. The funeral Mass was held in Gallapo on Saturday 27, Bishop Isaac Amani, Bishop of Moshi and Apostolic Administrator of Mbulu, was the principal celebrant and there were 73 concelebrants along with our deacons and students. He was buried in our community plot in Gallapo. 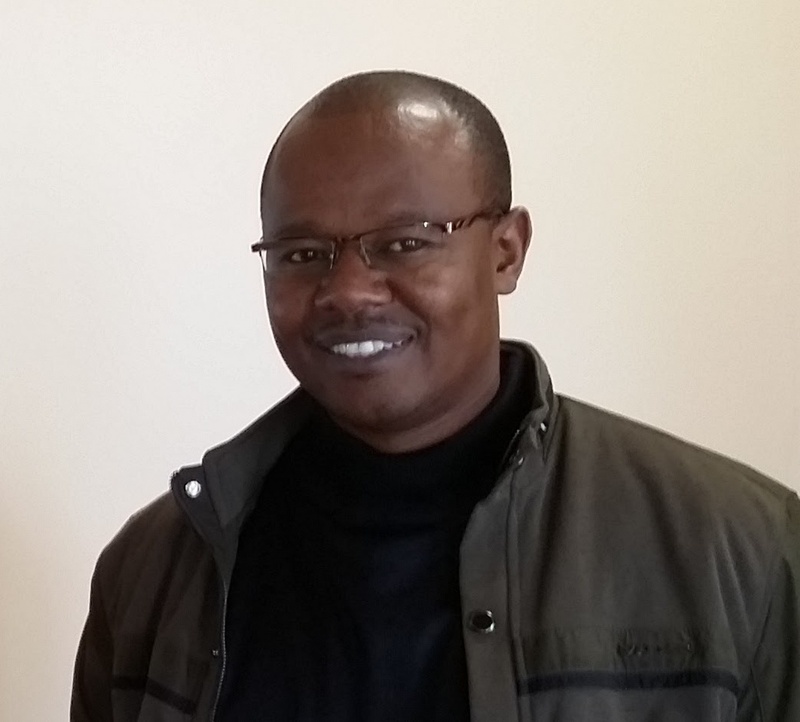 At the reception of the news of the death of Fr Louis Sisti, the delegature council met and a committee was put in place to prepare for the reception of his remains at Kilimanjaro International Airport before heading to Gallapo Pallottine Mission centre for the burial ceremony. 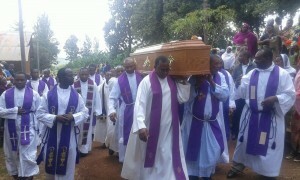 Fr Louis’ remains were received at KIA by a delegation led by John Onna, James Amasi, and Sixberth Mrumbi, the Pallottine Sisters together with many friends of Louis. The cortege headed to Arusha with a stopover at the Njiro Formation House for people to pay their last respects and followed by holy Mass. The cortege departed for Gallapo and by 6:45pm many mourners received the remains of Louis in Gallapo a place where he served as Parish priest from 1982-1984. Christians still have fresh memories of him moving the sanctuary to the centre of the Church in the spirit of Vatican II, emphasizing communion rather than hierarchy. His remains were received by the Parish priest, Emmanuel Malley and other confreres and a large number of the faithful who joined in singing the Office of the Dead. A night vigil was kept as his remains were left to be viewed the whole night. Prayers and many visits to pay last respects to him made the night even shorter. At day-break, we had the Office of the Dead again sung by the two choirs from Gallapo and Nangwa, the latter which he himself trained. By 9:30 am Gallapo Parish was crowded with many people. Mourners came from Mbulu, Dar-es-Salaam, Singida, Arusha and some from Kenya. The Requiem Mass was celebrated in the Parish Grounds by Mgr Isaac Amani, Bishop of Moshi and Apostolic Administrator of Mbulu Diocese. There were 73 priests and many religious sisters including our Pallottine Sisters from both Arusha and Singida, the Medical Missionaries of Mary from Nangwa and Singida, Sisters of Charles Borromeo from Singida (Muntinko) who bid farewell to a man who once welcomed them to Tanzania and gave them retreats when he was serving at Nangwa Parish. The choirs of Nangwa and Gallapo in a spirit of collaboration sang the Mass and the whole liturgical celebration proved beyond doubt that Fr Louis is still alive in the hearts of many who came to pay their respects to him. 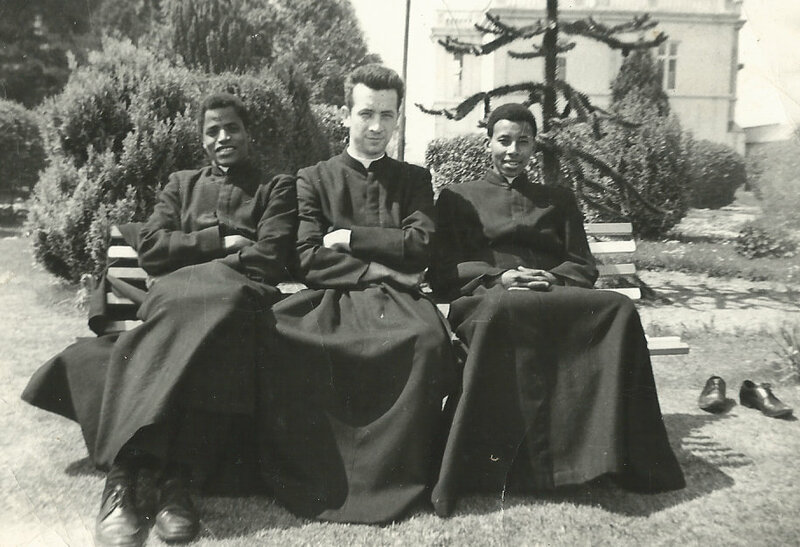 The Bishop personally knew Fr Louis as they were seminarians together in the early 1970s in Kipalapala Seminary. 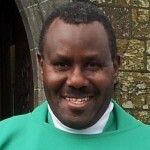 Bishop Amani described Fr Louis as fluent in English, a great musician, designer, generous and an entertainer. In his homily he said that “we have come to Gallapo to give our last respects to Fr Louis and to give condolences to the Pallottines and to his family”. In his meditation on death, Bishop Amani said that “death is a big separation that brings sorrow and grief to us because it puts an end to life and in fact no word can make death a better thing. The one who heals us from death is God. Death is a doorway to God. To go to God you do not pass through a window but rather through a doorway, and it is through death. We have been enlightened by Jesus Christ who died but resurrected, thus making death not an end but a pathway to eternal life.” He said we cannot go to heaven without dying and Fr Louis’ death has an important message for us that man has a beginning but has no end because God has something of his divinity, his life breath in us. So death comes at the moment when that breath escapes our body. He reminded us that “Jesus says he came ‘to give life and life in its fullness’ (Jn 10:10b) so faith warns us this earthly tent will be removed and God will give us a new home not made by human hands. Our everlasting home is not a tomb but heaven for Christ promises us that in his Father’s house there are many places, so he is going to prepare a room for us. This gives a transcendental hope to our desire for an immortal body that will have prevalence against all the tests and challenges we face in this earthly home. So let us not be disturbed, we have the Holy Spirit who calls us day by day to repent and believe in the Gospel, the Spirit who calls us to believe in God and in his Son. Our baptism calls us to be people of faith because Jesus will come back to take us. The challenge is, when he comes back at his own time, will he find us ready? He is the Way, the Truth and the Life, we have to leave darkness and look at the everlasting life through good teaching, prayer and sacraments. Fr Louis lived for 72 years but spent 42 years as a priest, he lived his vocation as a man of faith and he leaves us a patrimony of being faithful to the end. We must do our best in this life. Whether married or religious, we have to make sure that our callings take us to heaven. 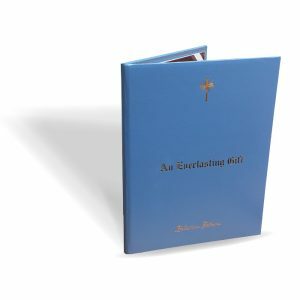 The Bishop exhorted the Pallottines to perpetuate his patrimony, to learn from him for he has left us a book of history by looking at his life. 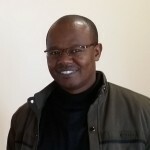 Since it is a period of Lent that comes during the Extraordinary Jubilee Year of Mercy, Bishop Isaac Amani encouraged all Christians to use the means of prayer and sacrifices with the Gospel of light to convert from darkness to light. Other dignitaries present included the District Commissioner of Babati District, Hon. Crispin Meela who described Louis’ death as a peaceful one. The burial was also attended by two area Members of Parliament, one from Hannang Constituency, Hon. Mary Nagu and Hon. Flacey Massay of Mbulu Rural Constituency. By 1:30 pm Fr. Louis was laid to rest in our cemetery in Gallapo. May his soul rest in eternal peace! One of the authors of the biography of St. John of the Cross once said, how can you measure life of a person? Is it measured by a number of years he lived, by achievements, by his wealth, a number of children he has or by his political career? He says, ‘you can actually measure life of a person by those significant moments’ that happen once in a life time. These are the moments that mark the end of one phase in a life of a person and begin a completely new phase. These are the moment thats we cannot forget because they shape all our lives. Such moments could be an event like the birth of a child, death of a friend or family member, an accident or even an encounter with another person. Such a moment happened in my life on 29th December, 1982. I travelled to Galapo to meet Fr. Louis Sisti, who was then Vocation Director of the Pallottines in Tanzania, to discuss my intention to join the Pallottines. I arrived late in the evening and I met also Fr. Vincent Shalvey RIP, who was a member of this community. My first experience was that of fear especially the moment Fr. Louis invited me to join the community for the evening meal. The sight of a flat plate, a knife and a fork was in a way a shock as all these things were new to me. I knew that this kind of life style was not made for me and my plan was the first thing in the morning is to hop into a bus and go back to my home village to a rather simple life. During the meal however, Fr. Louis must have noticed my unease with the knife and fork. He got up went to a press and brought a spoon and politely said to me, ‘I apologise, I forget to give you a spoon’. I made a sigh of relief. At this stage now I knew I will be able to enjoy a meal of rice and beans using a spoon rather than with the fork that I had never used before. Fr. Louis made me feel really welcome. And this was the significant moment that changed my whole life. This was a crucial moment of my to call to be a Pallottine. I continued with my priestly training from this moment on. A friendship between Louis and me continued. In 1988 Fr. Louis became seriously ill. He needed specialised treatment which was available in few places. He was brought to Ireland accompanied by Sr. Mary Friel, MMM. He was in terrible pain but never complained. In July 1992 after my completing theological studies, Fr. John Kelly, Provincial Delegate appointed me to do pastoral experience in Nangwa Parish where Fr. Louis was based. It was a great joy going to live and work with a friend. It was a very busy time because the Church building was going on. And Fr. Louis would go or send me anywhere and at anytime where he thought he could get materials that were needed for the building of the Church. His heart, energy and resources were directed all for one and only one thing; building a permanent parish church. But at the same time he had time and place for everyone who called to him. He was a man of many surprises. One of them being that he brought a choir to Nairobi to sing during the ceremony of my perpetual consecration in Nairobi Kenya. I was absolutely thrilled and will never forget the joy and the beauty of the singing of the choir from Nangwa. This was not a cheap trip. However, it meant a lot to me and to the young people in Nangwa. He was a generous man who would not spare a penny as long as it helped to make another human being happy. There are many things one could say about Fr. Louis. One thing however remains difficult to comprehend. It was very difficult to witness Fr. Louis responding to his final vocation on Saturday 13th, 2016. I strongly believe after suffering for so long Fr. Louis is gone to a better place to rest. As priest Fr. Louis was loved by all the parish in Nangwa, the wider area of the dioceses of Mbulu and totally dedicated to his people. I recall his love for sports, particularly Manchester united and found me strange that I could not support Manchester. A close friend of Louis says he was great Tipperary hurling fan and would amaze you with his knowledge of both. He loved to watch Tipperary matches and was thrilled when Tipperary won the All Ireland. It was a privilege to be with him in his last hours. We will all miss him very much. Fr. Louis had a big heart full of love for his family, friends and fellow priests. He loved a simple life. His possessions were kept in his heart like gold and these he kept to the end of his life. For all of you that had known him, he had the light in him and all this came from the deep love he had for our blessed mother Mary and our Lord Jesus. This love he had spread throughout his priesthood and which he shared with everyone he came to meet. He left a deep impression on so many lives with his love for the Eucharist. He will never be forgotten by all the people he served throughout his life in ministry. He saw the face of Jesus and Mary in every one. And they in return saw the gentleness and love of Christ in him. Our thoughts prayers and sympathy are with Fr. Louis’s family and friends in Tanzania and in other parts of the world. As well as his “adopted” family and friends here is Ireland who have been so much part of his life since he came here. Not least Eileen Connolly and family and friends. They too would be first to acknowledge the grace that Louis brought to their lives too. I know that Louis was most grateful for the love and support he received over the years. We welcome the Medical Missionaries of Mary sisters to the funeral Mass too, who have been so kind and good friends to Louis over the years. Although we mourn Louis’s loss we have come to celebrate the person he has been for each of us. In our Mass some of the readings which we have heard at funerals come to mind: The souls of the just are in the hands of the Lord – no torment shall ever touch them – they are at peace. Louis is at peace with the Lord. We look to scripture to help as we celebrate this Mass: Even though we mourn Louis’s death we do not as St. Paul says” grieve as others do who have no hope’ (1 Thessalonians 4:13)” We believe that we will all be reunited in eternal life. Death can be frightening for many people yet Christian faith offers the ‘sure and certain hope’ that Jesus, our life-companion, will be waiting to welcome us home as he welcomes Louis home. God’s love has sustained him and us over a lifetime. We take consolation that now his divinely appointed destiny is to live through love in God’s presence (as St. Paul says in Ephesians 1:4). St Elizabeth of the Blessed Trinity says: ‘There is a God, whose name is Love, who longs for our company’. Louis will be safe in this love, this welcoming smile. Each of us who knew Louis has their own memories of him. We recall his deep faith in the Lord and his love of Our Blessed Mother and of the Rosary. We remember too his sense of humor, being laid back and ye yet having a determination to get things done, particularly for the people whom her served. His development work with Eileen Connolly and her friends was outstanding – sending containers to Tanzania from Nenagh with much needed help. One of my memories is my last visit to Nangwa, sitting with him in his new Church, before sunset, and seeing the light streaming through the stain glass windows, each of them telling a story – and sharing a prayer with him. It was a special moment in the presence of God. But my memories go back longer than that: ‘Because I did a lot of Irish dancing as a kid I taught Louis to do Irish dancing and we “launched” our career by entering the talent competition of the 60’s in Thurles as Louis and Gerry. By that time Louis had mastered the accordion and guitar and wanted to be the African Michael Flatley of the 60’s so we had great fun and met loads of wonderful people performing in the Premier hall and other halls around Tipp. It just showed his many talents and how he could relate to the Irish culture and how people took him to their hearts. But in the end of the day it’s not so much his talent or his development work. What we’ll remember is the gentle person that he was and how he related to each of us. 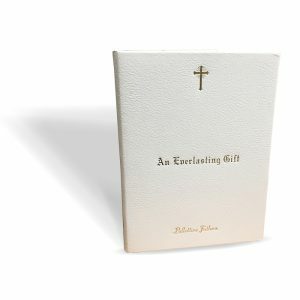 One of the prayers we say in the funeral service is: The bond of friendship and affection which knits us as one throughout our lives does not unravel with death. So we rejoice that we are united in God’s family with Louis. None of us could have foreseen the future when we were students in the college what the future would hold for Louis, but I recall then that Fr. 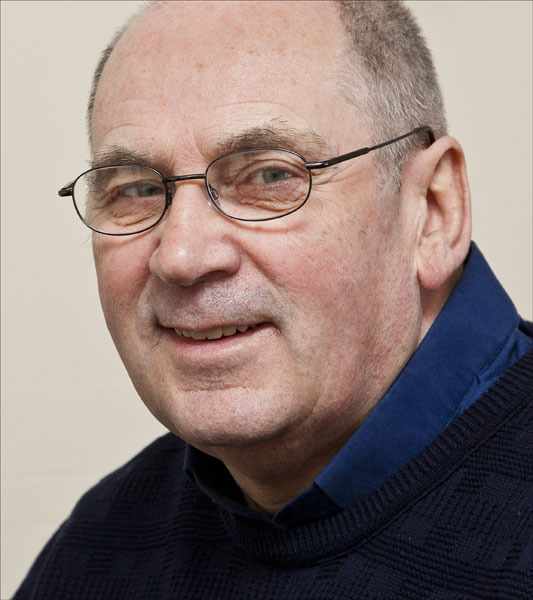 Bill Hanly our rector then used to recite a communion reflection at the end of his Mass. MY LORD GOD, I have no idea where I am going. I do not see the road ahead of me. I cannot know for certain where it will end. Nor do I really know myself. I believe that the desire to please you does in fact please you. I know that if I do this you will lead me by the right road, though I may know nothing about it. Therefore, I will trust you always though I may seem to be lost and in the shadow of death. I will not fear, for you are ever with me, and you will never leave me to face my perils alone. The kind and gentle Fr. Louis Sisti SCA. died 13th February, 2016, peacefully, at St. Theresa’s Nursing Home, Thurles, following a long illness. Sadly missed by his loving Pallottine Community, his sisters Sabina and Elisabeth, his brothers Patrice, Emanuel and Moris, his extended family and very dear friends. Lying in repose at the Pallottine College, Kickham Street, Thurles, on Sunday (14th February) from 3.30pm to 5.30pm, followed by prayers and removal to College chapel. Concelebrated funeral Mass on Monday (15th February) at 1.00pm in the College chapel.